In your presentation, a Slide Master is the element that influences everything, be it the slide background or the fonts used for text. Despite having different layouts, all slides in a presentation share a common look, which is provided by the Slide Master. There will be at least one Slide Master in every presentation. However, while adding slides from other presentations, you may end up adding more Slide Masters inadvertently to your presentation. 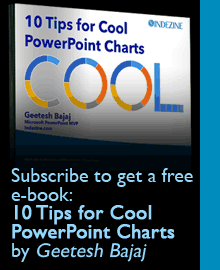 So, how do you know how many Slide Masters your presentation contains? And, how do you add another one? In fact, why do you need another Slide Master at all? Whatever your opinion may be, it’s actually quite easy to add a new Slide Master. 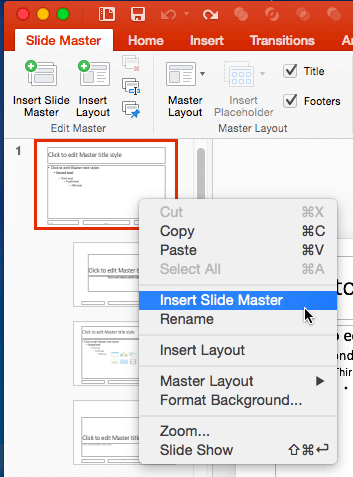 Learn how to add and rename Slide Masters in PowerPoint 2016 for Mac.